I have been making some pretty girly cakes lately. I am not one to be too girly, but I sure like some pinks and purples sometimes. It just turns out that these past couple weeks, it's been all about the pastels in the cakes coincidently. I have been loving it. Here's a cake I made this weekend. 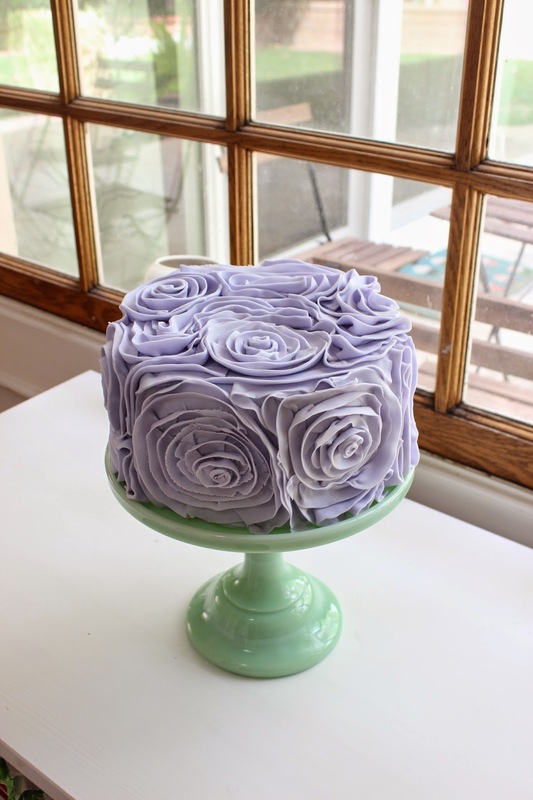 I have never tried this technic with cake, but I made a ruffled roses cake with fondant. It almost reminded me of fabric. I love it, and can't wait to try it some more! Even though purple isn't one of my favorite colors, I loved how it looked with the jade cake stand. And here is another one I made for a little girl's 8th birthday. 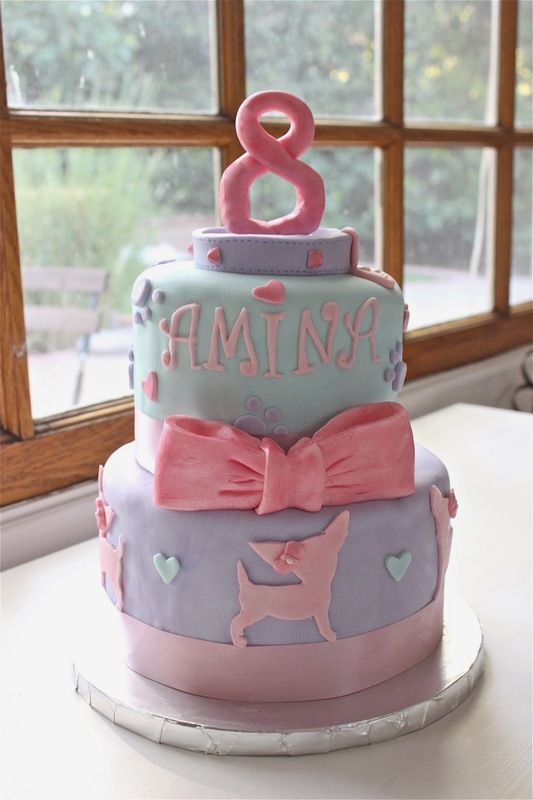 She loves her chihuahua so the cake was themed on her beloved dog. I think I'm more open to these pretty girly cakes. It's just so dainty! I think there will be more to come!